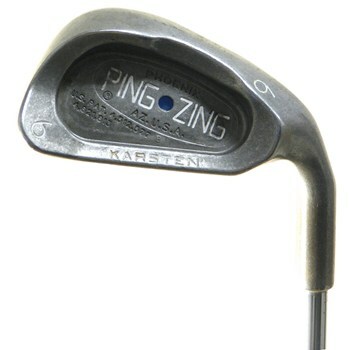 The Ping Zing is one of Ping''s largest and most forgiving irons and was quite popular in its day. The heel-toe weighting and deep cavity make this club very easy to hit for most any golfer. Review by Piero, 3 years ago. Are these a standard shaft length? How old are these? Do they need regripping? Please refer to the listing for more detailed information. You will need to choose the length and other options if available. Unfortunately, we do not have a way to verify the age of the set of irons as they are pre-owned and the customer that had the set before will not provide that information. Also, we guarantee the clubs will have a playable grip. If they are too worn, we will replace the grips before shipment. Hello. I'm buying these for my son. He's 6'5" tall. What length would be best. I have g10 yellow dots. He hits them well. We would recommend that he be fit by a certified PGA professional or club fitter locally who can physically see his swing and measure him, as height alone isn't the only factor in club length but is one of the largest factors. Typically though, at 6'5", most would need at least a 1/2 inch over standard depending on their arm length. Taller players typically also need more upright lie angles, which the yellow dot is upright lie from Ping, so it isn't a surprise he hits those pretty well currently. What sizes re included in the set?